It's our favorite time of the year: VSCR's 4th Annual Halloween Costume Contest! All month long in October, VSCR is hosting its annual Halloween Costume Contest for all current and former VSC/VSCR patients and the general public. All dogs and cats are welcome to enter; we do ask that non-patients make a donation to Loudoun County Animal Shelter to enter. Donations can be made at either location. 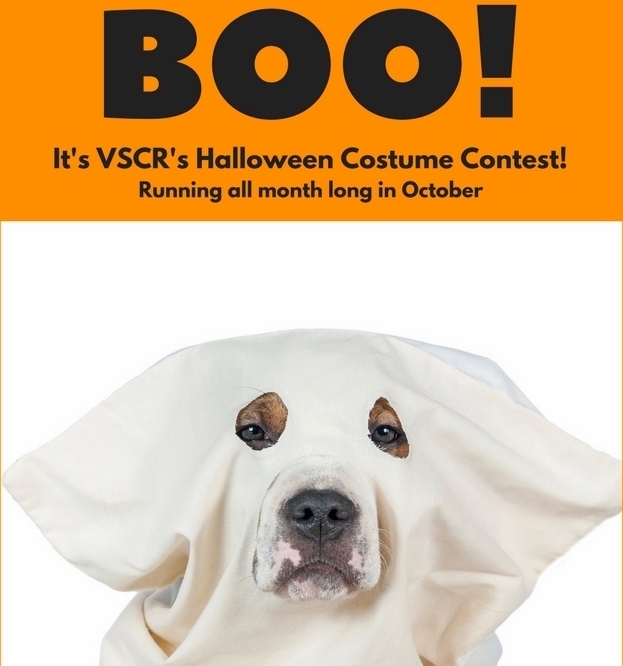 To enter, simply email a photo of your pet in costume with his/her name, age, and your contact info to vscrcostumecontest@gmail.com. You also can post on or tag our Facebook page (www.fb.com/animalsurgeons) or tag us on Instagram (@vsc_vets). Just be sure to use the #vscrcostumecontest hashtag! Whoever gets the most 'Likes' wins! Prizes will be offered in both locations. The deadline to enter is October 31 at 12a; winners will be announced the same day! Check out this year's entries and "Like" your favorites to vote! *Please note that by entering your pet in our contest, you are consenting to his/her photo being distributed across our website and social media platforms. If you'd like us to avoid using your last name, please let us know. Thank you!